Discover the extraordinary parenting techniques of the broad-snouted and spectacled caimans. Whether a caiman is male or female depends upon the temperature of the nest during its early development. If a young broad-snouted caiman is too weak to break out of its egg, the mother will use her jaws to crack the shell. Spectacled caimans leave their young in communal nursery pools, supervised by a single adult. If their nursery pool dries up, the adult spectacled caiman will lead the young to a new, deeper pool. 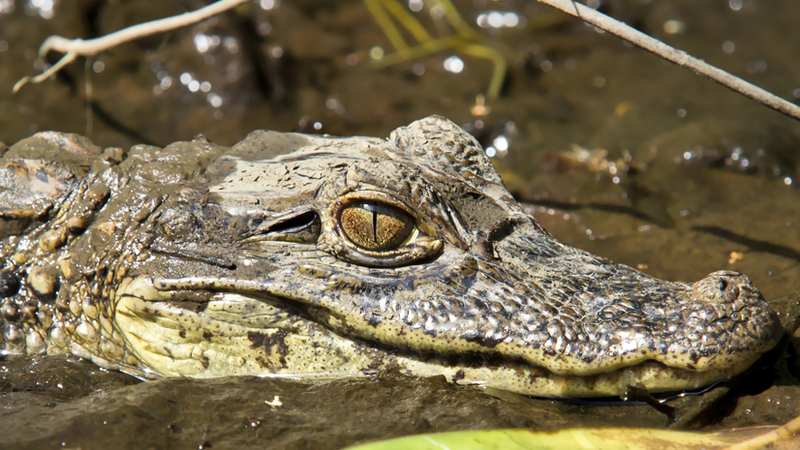 Like all reptiles, caimans have found ways to avoid using energy whenever they can help it. These yacare caimans are simply waiting for fish to swim straight into their mouths! But when it comes to parenting, caimans can be very active indeed.